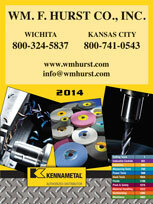 When you need power tools for your business in Kansas City, Wichita, Dallas, Fort Worth, or any surrounding city, then turn to the experts at Wm. F. Hurst Co., LLC. We have supplied businesses in the Midwest with high-performance tools and other quality industrial supplies since 1962, and we’ve built a reputation as a trusted industrial supply distributor by providing exceptional tools at competitive prices and unmatched customer support. Whether you need drills, sanders, die grinders, screwdrivers, nutrunners, impact wrenches, or almost anything else, we’re confident you can find the power tools you need among our impressive selection. You can also rely on our knowledgeable and experienced staff to help you assess your needs and make tool recommendations that can help you improve processes within your operation. 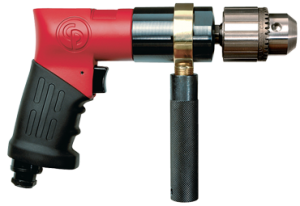 In addition to industrial power tools, we offer cutting tools for turning, milling, and hole making, assembly tools, and a wide selection of quality industrial supplies, including metalworking fluids, industrial abrasive discs and belts, and safety equipment. To receive more information on our selection of power tools or any of the other industrial supplies we offer, contact us today. Wm. F. Hurst Co. proudly serves businesses in cities throughout the Midwest, including Kansas City, Wichita, Dallas, Fort Worth, Sedalia, Springfield, and Joplin.